Maybe your new to the Dubbo area, but if not, then you can probably knoiw that termites are everywhere around here. 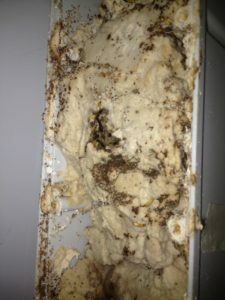 Of course, setting up a happy functional home would include making sure that termites are not part of the deal, as those nasty critters are known to literally eat a house into ruin. It’s for this reason that one must face the ugly truth of termites in Dubbo, which is that while you are here, taking measures to protect your home is going to come up sooner or later. All preparation starts with knowledge and understanding of the problem at hand, so let’s get to the root of the matter. 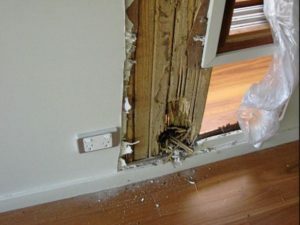 Avoid termite damage like this by looking after your home. Some would say that Australia has a major termite problem. I would say it is not a problem at all, as a problem is something that has a solution. There is no feasible “solution” to the fact that there are termites all over the place. Termites are considered to be the most successful species of insect on earth, more so than their cousins the cockroaches, as they can be found with thriving colonies on every continent. This is especially true in Australia, as 85% of homes are within 25 meters of a termite colony. Aside from that, many – if not most – homes in Australia are built using radiata pine, which termites have been found to have a particular taste for. 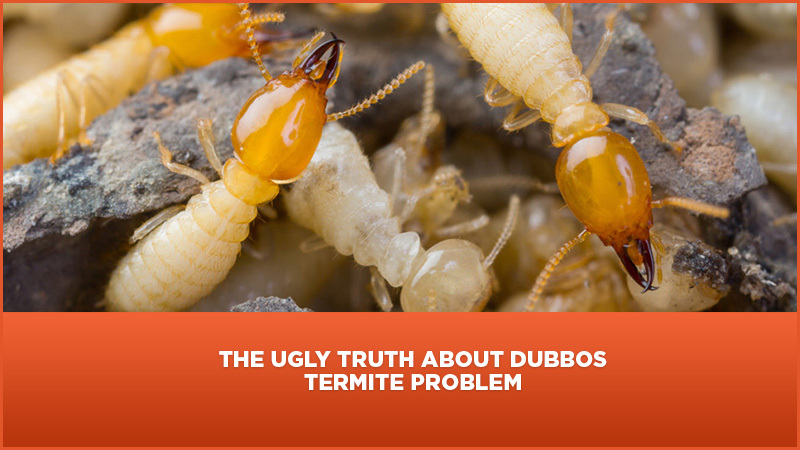 You can see now by those facts that ridding Dubbo of its termite problem completely would be unfeasible, so instead of trying to solve that as a problem, one would be better off simply learning how to adapt to the environment. That would mean learning what to do and what not to do when you find yourself in the midst of a termite invasion of your home. There are products and DIY kits available to deal with the situations, but in honesty, termites can cause enough damage that it is safest to get a professional to be sure it is handled properly. There is a lot of information to consider when taking on a termite colony which has found it’s way into your home. There are methods of baiting and exterminating termites that have been perfected down to a science, yet if they are done improperly can actually draw more termites to your home, making the problem even worse. If the problem is not handled entirely, that is if the entire colony is not wiped out, then it may appear that the situation is finished for a time, but then they will quickly regenerate themselves and you’ll be right back to square one. It’s definitely a slippery slope once the termites have caught a taste for your house, and once the game is on, there is a whole lot at stake. All ugly truths aside, while there are termites all over the place in Australia, people have been living here for quite a while and there are experts who have learned the ways to keep the termites at bay. The best bet is to just find one of them and go about your business without having to trouble yourself with the fine points of termite extermination.